“You are what you eat” is a common phrase many of us have heard. In terms of Spirituality, there is truth in this simple statement and it has an even deeper significance. We choose what we eat or drink based on liking, health, social factors and other reasons, but most of us do not consider the spiritual dimension when choosing what we consume. 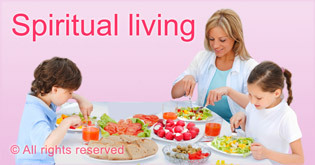 We have found through spiritual research that in addition to the health effects of different foods and drinks, every food or beverage has a certain level of spiritual purity. When we consume spiritually pure items, we imbibe positive energy from them and this benefits us in our daily lives and in our spiritual practice. We feel healthier, lighter, more clear headed and we become more productive also by consuming them. On the other hand, when we consume spiritually negative foods or beverages, we imbibe black energy and this has a strong negative effect on all aspects of our life. We even negatively affect others if we serve spiritually negative food or drinks to them. If we regularly serve our children meat for example, it has the potential to negatively affect them as they grow up and this would have a long term effect on them. Consuming spiritually negative foods and drinks can lead to having more anger, aggression, health problems and other problems as well throughout life. In this section, we explore what choices we can make while eating and drinking to imbibe spiritual benefit and to be protected from spiritual distress. The spiritual effects of eating and drinking foods and beverages can even be measured with biofeedback machines and several articles in this section explore this in more detail. 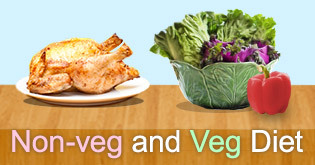 If we are open to adopting a vegetarian diet, we would find that it benefits us in many ways. Modern science has shown medical benefits of a vegetarian diet such as improved cardiac health and reduced cancer rates. In addition, there are immense spiritual benefits to vegetarianism as well. 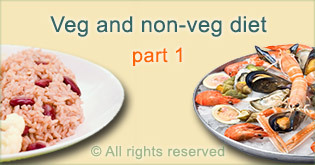 The spiritual difference between vegetarian food and non vegetarian food can be measured through biofeedback machines. There is a change in the electromagnetic field around a person's spiritual energy system depending on whether they consume vegetarian or non vegetarian food. What is your favorite drink? Maybe you prefer a bubbly cola, maybe coffee is the perfect way to start your day or maybe you prefer something healthy like milk. We all have our preferences regarding what we like to drink, but usually we do not consider that what we choose to drink has a spiritual impact on us. 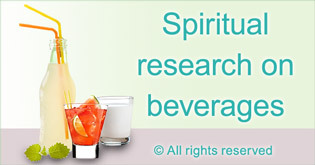 Here we present our spiritual research findings on the spiritual purity of some common beverages including alcohol, tea, cola drinks, coffee, fruit juice, coconut water, water, butter milk, and Indian cow’s milk. Drinking alcohol provides relaxation after a long day of work to people all over the world. Though drinking alcohol in moderation may seem harmless, at a spiritual level alcohol has a detrimental effect even if we consume just one drink. Advertisements for cola drinks make them seem very appealing and fun, but what do they actually do to our spiritual system? As parents we allow our children to consume cola drinks without a second thought, but we are not aware of the long term effects. Imagine waking up and being served breakfast in bed – the ultimate romantic indulgence. But imagine for moment what happens when the vibrations in your mouth cavity that have been fermenting overnight mix with food and go into your system. Fruit juice is refreshing, healthy and many people find it tasty. To add to all these positive points, fruit juice also benefits us spiritually. Everyone has heard that milk is healthy. Many of us have drank milk regularly through childhood and experienced that we feel refreshed and satisfied after drinking it. Through spiritual research, we have found that Indian cow's milk is the most spiritually pure beverage and that drinking it gives numerous spiritual benefits in addition to the health benefits we know about. Bread is eaten all over the world, but the way bread is made affects its spiritual purity and its effects on health. We studied the effects on the electromagnetic field in a place depending on what type of bread was placed there and our findings confirmed what we had found through sixth sense. In another study, we examined how meat burgers, sponge cakes made with eggs and lentils with rice affected the electromagnetic field around them. Our findings affirmed that the spiritually purity of the food affected the environment around it. As per the spiritual science meat and wine emit distressing vibrations. These vibrations can be detected through sixth sense readings and they can even be detected to an extent through some biofeedback machines. From this research it becomes clear that alcohol and the cola drink attract negative and stressful vibrations. 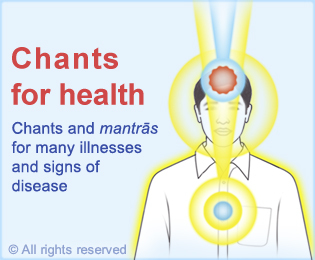 Conversely, fruit juice attracts vibrations of positivity and spiritual purity (sattvikta). This research shows that since milk has sattvik vibrations and is healthy, it is beneficial to drink milk more than it is to drink tea and coffee. 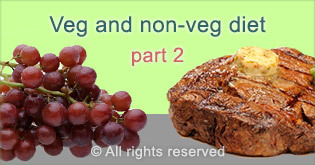 If we are open to adopting a vegetarian diet, we would find that it benefits us in many ways. There are immense spiritual benefits to vegetarianism as well. We all have our preferences regarding what we like to drink, but usually we do not consider that what we choose to drink has a spiritual impact on us. Though drinking alcohol in moderation may seem harmless, at a spiritual level alcohol has a detrimental effect even if we consume just one drink. Prayer is one way we can pay gratitude to God for the foods and beverages He has provided us with and praying before we eat helps to build connection to God while we eat. Praying also purifies the food and drink and protects us from distress. Chanting the Name of God is the best form of spiritual practice in current times. We can chant any time and anywhere, and chanting while we eat allows us to imbibe more spiritual benefit from the food we eat. Applying a pinch of Holy ash from SSRF incense sticks helps to increase the positivity of food we eat. Praying before we eat helps to build connection to God while we eat. Praying also purifies the food and drink and protects us from distress. Just as we can choose what to eat or drink with spirituality in mind, we can also consider the spiritual dimension when making choices in each aspect of our lives. 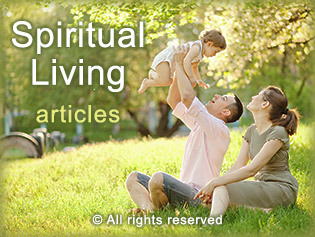 This section explores how we can make spiritually positive choices in common aspects of our lives. We may choose what to wear based on fashion, comfort, or other factors. 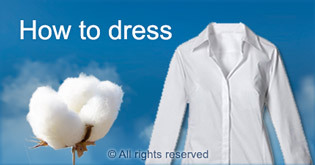 Did you know that we can also consider the spiritual effect of the clothes we wear? Sleeping problems can have an adverse impact on all aspects of our lives. Taking simple spiritual measures can go a long way towards improving our sleep and thereby improve the quality of our lives. 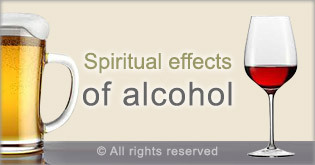 Drinking alcohol is common across the world, but we can keep in mind that every stimulus, including what we drink, has a spiritually beneficial or detrimental effect on us. 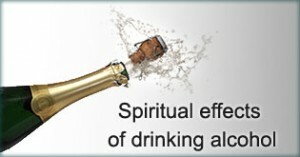 In this video, we explore the negative effects of alcohol at a spiritual level. Vegetarians often say that switching to a vegetarian diet has conferred many benefits such as feeling lighter, having more energy and being more clear headed. Interestingly, the difference between consuming vegetarian food vs non vegetarian food can be measured with biofeedback machines. Vegetarianism not only benefits us physically but it also benefits us spiritually as well. The main reason for this is that vegetarian food is higher in the spiritually pure Sattva component than non vegetarian food. In this followup to the previous video, we explore the spiritual benefits of vegetarianism. Test your sixth sense by seeing what spiritual vibrations you can perceive from 2 different types of food. In this book the subtle and health benefits of consuming sattvik food have been described and so also which foods are detrimental to mankind.